L.I.T. guide--Literacy Instruction Tools: What do TL's teach? Speaking of infographics, I love this one from Joyce Valenza. I have it posted on my office door as inspiration for me and as information for anyone else who comes in. 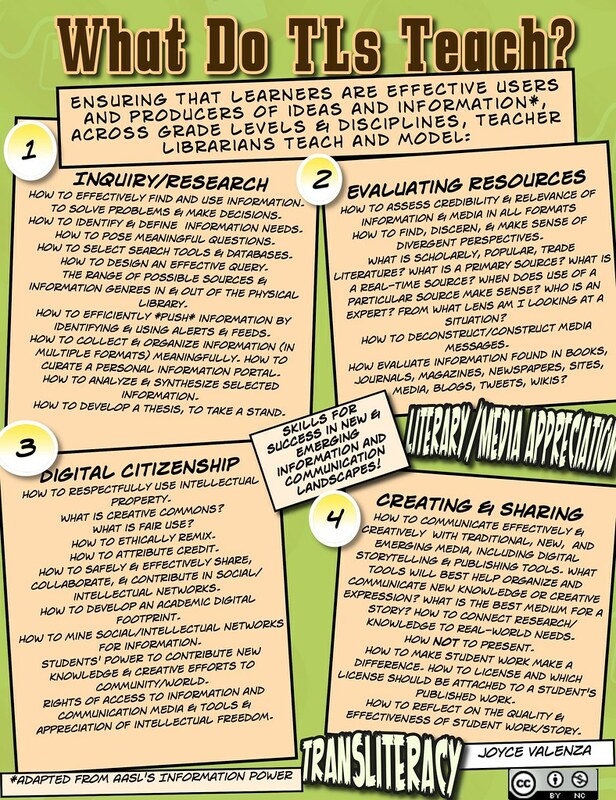 I've also used this on my LibGuide for teacher inservice to try to show teachers all the things I could help them with.